An interesting interview came across my desk this morning, refreshingly nothing to do with A Perfect Circle’s new album. Christophe from Salival.fr recently interview A Perfect Union of Contrary Things author Sarah Jensen, and asked her a bunch of questions about the process used to write the bio. What was your approach here? Maynard and I agreed early on that this wouldn’t be a typical rock-star biography. 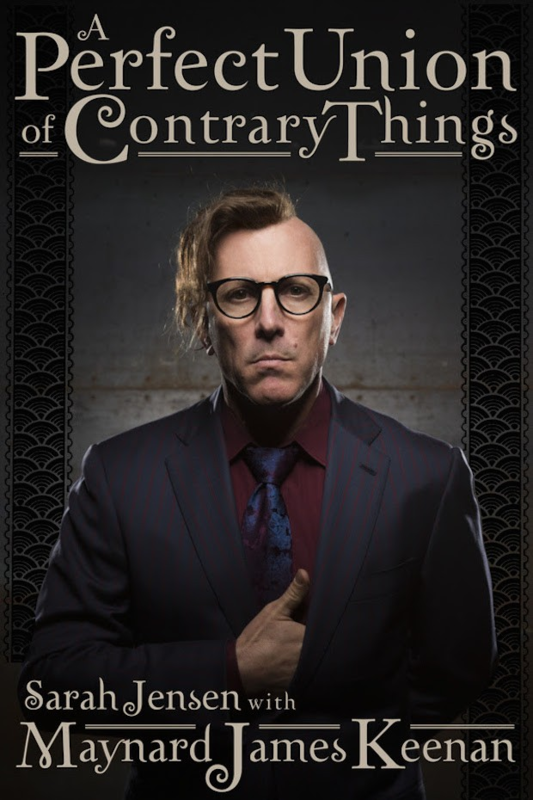 It wouldn’t be a book about Tool or a tell-all, but the story of Maynard’s journey. It hopefully would show that everyone’s life is a journey, and that the outcomes depend on the choices they make. Did you meet Maynard for the content, phone him? Maynard and I live on opposite sides of the country, so every Sunday we got on the phone, and he told me another chapter of his life. During the week, I worked on turning it into a story. He reviewed everything I wrote, and had final approval over it all. Were there things more difficult to discuss with him, as there are some sensitive events depicted? In case you haven’t checked out the book yet, check out my thoughts on it here!